Dr. Sunderland is a specialist in cosmetic and reconstructive plastic surgery, certified by the Royal College of Physicians and Surgeons of Canada. Our office employs a patient first philosophy, ensuring the highest quality of care with an emphasis on patient safety, comfort and privacy. We proudly serve patients from all across Saskatchewan, as well as the neighbouring provinces of Alberta and Manitoba. 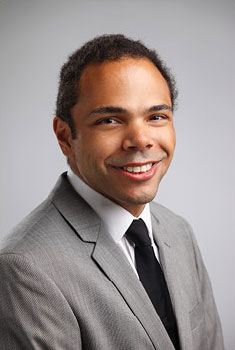 Dr. Sunderland grew up in Winnipeg, Manitoba and completed his undergraduate education in Human Biology at the University of Toronto (Trinity College), graduating with highest distinction. He received his medical degree from Washington University in St. Louis, graduating at the top of his class. Dr. Sunderland then went on to complete a residency program in plastic surgery at the University of Washington in Seattle, one of the foremost training programs in the United States. Following this, he completed a one-year fellowship in reconstructive and aesthetic craniomaxillofacial surgery at Sunnybrook Hospital, University of Toronto. Dr. Sunderland is eager to bring his expertise in reconstructive and aesthetic facial plastic surgery to Saskatchewan. His main clinical interests include facial trauma (acute and secondary post-traumatic reconstruction), nasal reconstruction and rhinoplasty, facial skin cancer, adult cleft surgery, oculoplastic surgery, orthognathic surgery, cranioplasty/skull tumors, facial reanimation, and aesthetic facial surgery. He is also interested in general reconstructive and aesthetic plastic surgery. Dr. Sunderland has been the recipient of numerous awards and honors, has published in prominent plastic surgery journals, and has presented at national and international meetings. He is fully certified as a specialist in plastic surgery and is a fellow of the Royal College of Surgeons of Canada. He comes to Saskatoon with his wife, Briana, who is a registered nurse. Together they enjoy windsurfing, running, and hiking.